Lovely display and I love how you added a favorite of mine, the pansy….that is a stunner with the yellow and purple…..and Yoda keeping watch! 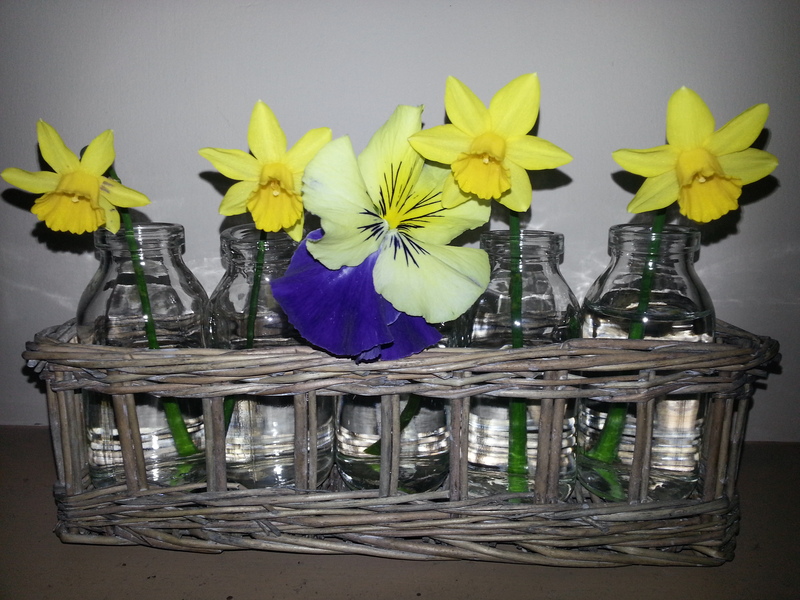 Thank you very much – I’ve got more pansies about to flower so fingers crossed for next week. 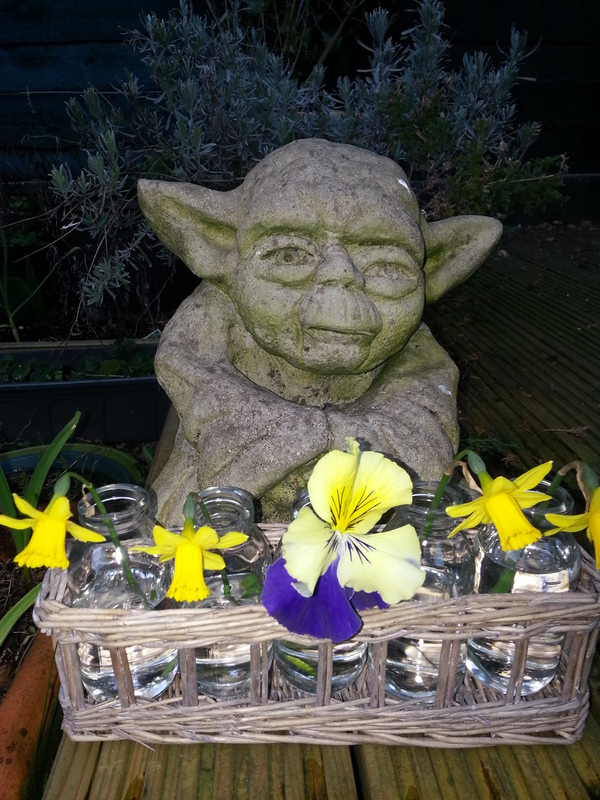 Yes yoda is great – a gift from my chap. He moves around the garden too. I like these mini bottles in the basket too – as you say, Gwirrel has used these but I have not come across them to buy (yet…). It is so simple to pop a flower or two in each and they look so effective. This is so pretty and will give you lots of pleasure, I am sure. Don’t forget it doesn’t have to be flowers – it could be twigs or grasses or fruit. The more you look around the garden with a vase or container in mind the more potential you will see – that’s why it has become such an enjoyable challenge. Photographing the vases often proves to be a challenge for those of us not especially experienced in photography – I now tend to take my vases outside where possible as the light will always be better. Thanks for joining in and see you again soon! It looks to me like Yoda approves! Less is more, most of the time, thanks for sharing!